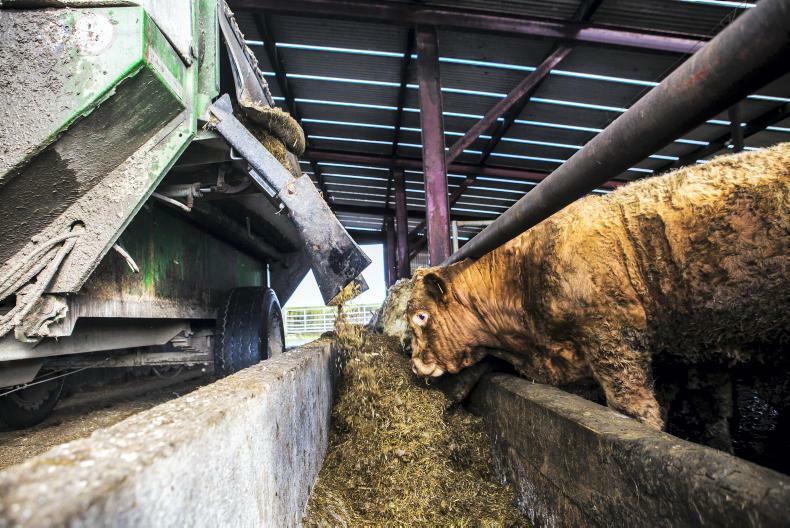 The Department of Agriculture has budgeted €1.15m for the funding of weighing equipment as part of the BEEP scheme. It is estimated that 400 scales will be required for BEEP as part of a rental scheme, with provisions for an additional 100 scales if there is high demand. 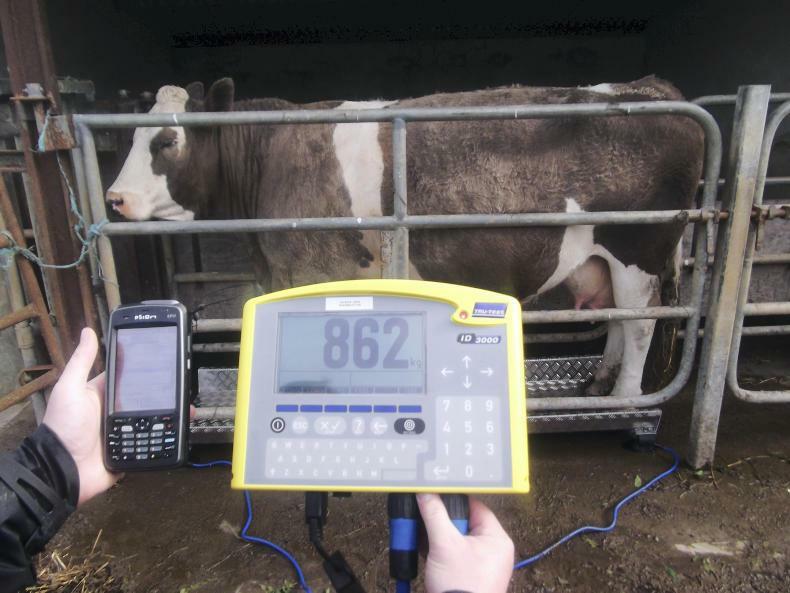 The Department of Agriculture has set aside €1,150,000 to acquire weighing scales which farmers can rent to weigh suckler cows and calves under the Beef Environmental Efficiency Pilot (BEEP) scheme that opened for applications on 4 February. The scheme requires farmers to weigh suckler cows and unweaned calves to determine weaning efficiency. A payment of €40 is available for every calf weighed. As part of the pilot, a rental scheme will be rolled out across the country to provide access to scales for farmers who do not have their own set. Farmers who own their own scales can use it to weigh their animals, but it must be pre-registered with the ICBF beforehand. A website to register scales will be made available by the ICBF in early March. It is estimated that 400 scales will be required for the rental scheme, with provisions for an additional 100 scales if there is high demand. These scales will be distributed to locations nationwide and available for rent for a fee, envisaged to be less than €50/day. Details on when and where these scales will be available for rental has yet to be published, but the Department has said they will be available before 8 March when farmers can begin submitting weights. It is also understood that scales will be available from central locations such as marts or co-ops. The €1.15m for the scales was included as part of the Department’s capital allocations under the programme for farm supports and controls, which has a total budget of €159m for 2019. Minister for Agriculture Michael Creed detailed the components of the programme in response to a parliamentary question from Fianna Fáil’s Barry Cowen. The IFA’s demand for a €100m Brexit package for Irish beef farmers is facing its defining days. 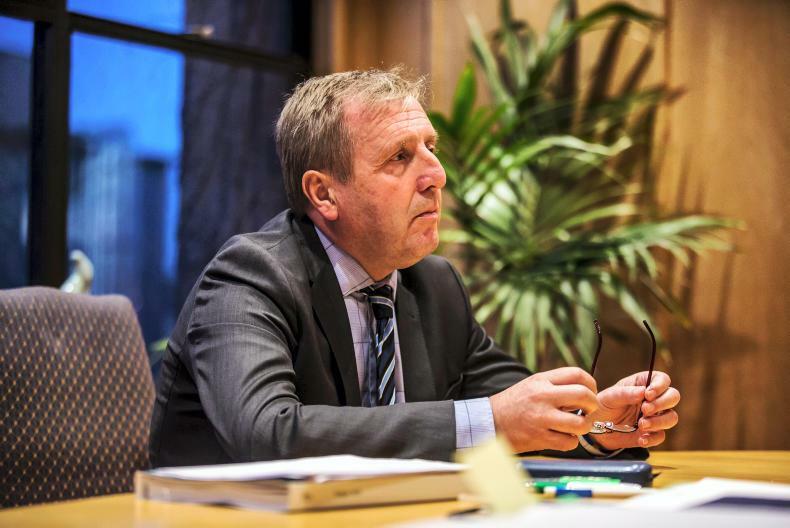 On Monday, Minister for Agriculture Michael Creed made his case for compensation for Irish farmers at the ministerial council in Luxembourg. He highlighted losses already incurred as a result of market instability and currency fluctuation caused by Brexit. European Commissioner for Agriculture Phil Hogan speaking at the launch of his proposals for the CAP after 2020. “There is nothing normal about events since our friends in the UK decided to leave the EU,” he said. “Irish beef producers have already suffered a reduction in their income as a result [of the UK decision to exit the EU],” he said. This is the first suggestion that support might be available for the damage caused by the prolonged Brexit process, as opposed to the UK’s actual exit. It is understood that the minister was given five days to go back to Brussels with evidence of market disruption. IFA officials met Minister for Finance Paschal Donohoe this week to push for a package. “Beef finishers have been financially savaged from Brexit price cuts,” said IFA livestock chair Angus Woods. Earlier this week, frustrated farmers voiced their anger in Portlaoise about how much money they are losing every day as beef markets continue to suffer. 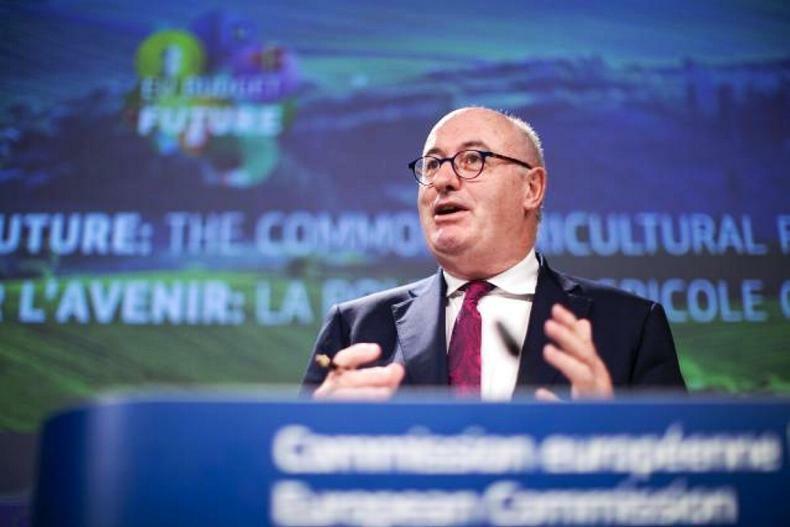 If Commissioner Hogan is to act, it would have to be soon as his term as European Commissioner for Agriculture nears an end. Calls for financial assistance accusations of price-fixing and attacks on dairy beef dominated an Oireachtas hearing this week. Meat factories should be the ones to receive aid in a no-deal Brexit because they will pay new export costs, their representatives told the Oireachtas agriculture committee on Tuesday. “We need a Government guarantee that support mechanisms will be immediately available, delivered efficiently, applied at the point of trade, eliminating the ensuing market values loss extracted by the imposition of tariffs, and achieving the objective of keeping Irish beef supplied to UK customers,” said Meat Industry Ireland chair Philip Carroll. He also dismissed as “an old chestnut” accusations of a factory “cartel” made by Beef Plan chair Eamon Corley, following similar comments before the same committee last week. Competition authorities have allowed several recent mergers in the industry without finding evidence of distortion, Carroll said. Farmer representatives, too, called for Government support, with the Beef Plan suggesting a €100/head export payment for weanlings. ICSA president Patrick Kent called for a “rescue package from Brussels,” arguing that “for beef producers, Brexit has already effectively happened” with €4m lost to poor prices every week. Macra suggested a young farmer bonus payment on beef prices. Speakers were also critical of the dairy sector. 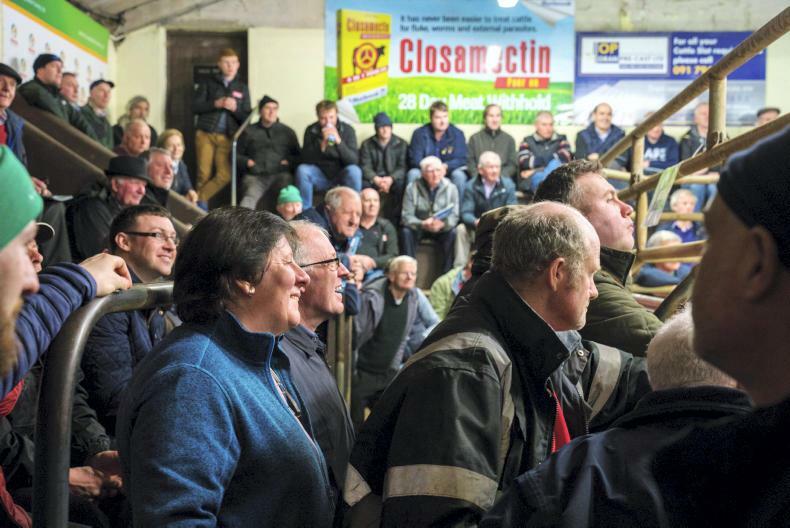 Anger, frustration and despondency would best describe the mood of the meeting on Monday night which saw both Bord Bia and the beef factories come in for some heavy criticism from those attending the meeting. A crowd of over 400 packed in to the Killeshin Hotel to hear from Meat Industry Ireland (MII), Bord Bia and IFA about the current beef crisis. Michael Houlihan from Bord Bia addressed the meeting along with Cormac Healy of MII, Angus Woods IFA national livestock chair and Francis Gorman, Laois IFA chair, who organised the meeting. Many farmers from the floor told the top table that they were losing between €300-€500/head this year on their finishing enterprises. 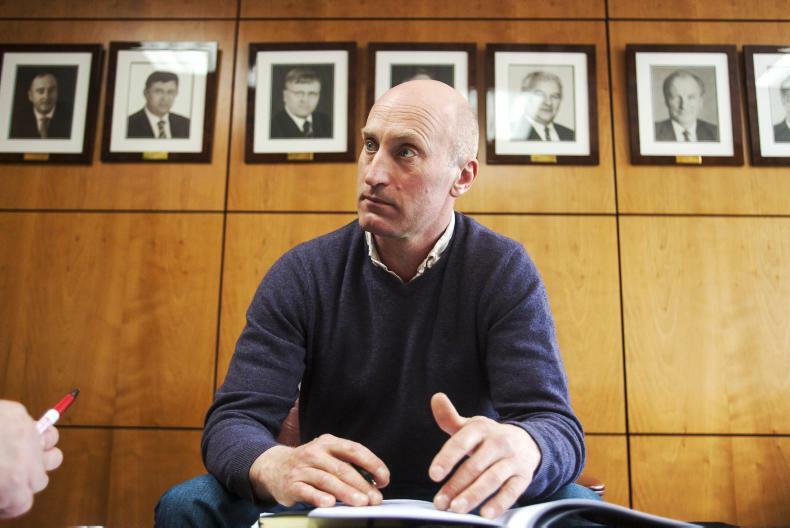 Mountmellick beef and sheep farmer, Henry Burns gave a passionate plea to the top table to do something to stop farmers coming to the wall this spring. Burns asked: “Where are we going? We are being asked to take this Brexit loss head on. Where do we turn to? I’ve turned to my merchant and the bank to fill the hole, but that won’t last forever. I’m already dealing with my supports payments being down one third. On the beef factories he said: “They have hung us out to dry, they have us on the floor and they’re looking to drive us further into the ground. John Kehoe, a large beef finisher from Co Carlow, told the meeting that he was losing €500/head at the moment on his finishing bulls and he demanded answers from both Bord Bia and MII. “I took a beating in 2014 that I never thought I would have to take again but at the moment I’m taking a huge beating,” he said. He also said “there has been improvement in prices over the last number of years and in general we track the EU average quite well. On quality assurance (QA) he said that it was a perquisite to enter nearly all markets at this stage. Kildare farmer Brian Rushe questioned whether QA was really working. “All the burden lies with the farmer, it’s like another cross-compliance inspection at this stage and yet farmers aren’t getting any reward for it. Another local man, Liam Delaney, who was once a flagship farmer for McDonalds through Dawn Meats, said it was too late for him as he has made the decision to switch his farming operation to dairy. “I couldn’t sustain the losses any more and I needed to get out while I could. I’ll have kids going to college in five years and I need to make sure I can pay for them. Dairy farming is the only thing that can provide this for me. IFA national livestock chair Angus Woods said he was appalled at the comments from our Government ministers in the past few months. “First we have our Taoiseach coming out telling people he is cutting back on meat consumption, then we have Richard Bruton condoning messages going out to schools about the damage eating meat does to the environment. “We also have our own Minister for Agriculture, Michael Creed adopting a wait-and-see approach, assuring us that he will step in if there is a hard Brexit. One positive on the night came from Bord Bia in that they forecast EU beef production to contract by 1.7% in 2019. They also pointed to a 50,000 head reduction in the cattle kill for 2019. With this year’s kill already up over 30,000 head, that’s an 80,000 head swing between now and the end of the year which could help lift prices. International issues like African swine fever could also indirectly help beef prices. The Irish Farmers Journal are holding a major beef summit in the Shearwater Hotel, Balinasloe, Co Galway on Thursday 9May at 7pm. The summit, which is aimed at providing answers as to the direction that our beef industry is going has a number of high-profile speakers confirmed. A number of the speakers will address issues in relation to suckler beef. The Minister for Agriculture Michael Creed will address the meeting along with the secretary general of the Department of Agriculture, Brendan Gleeson. The director of Teagasc Gerry Boyle and Bord Bia CEO have also been confirmed to speak at the meeting. There are currently over 1,000 of the 1,200 tickets booked so those wishing to attend should register for tickets at www.farmersjournal.ie/beefsummit. Attendance is free but you need a ticket to gain entry on the night.